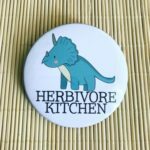 Our magnets are beautiful, glossy, big (3 inches diameter) and make a fantastic gift for yourself or a vegan friend. 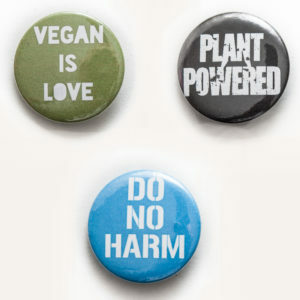 These magnets, like everything else on our website, are vegan friendly. 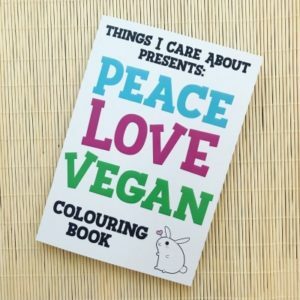 This is the second edition of the Peace Love Vegan colouring book made by Things I Care About Shop (TICAS). 💙 More beautiful illustrations to colour and additional pages with gratitude prompts for the same price! TICAS are super proud to release these books! If you love to colour as much as we do, you will love these! Fourteen beautiful illustrations to colour - each with its own vegan message, plus fourteen pages with writing prompts and gratitude journal. These colouring books are produced locally in Britain. The covers are made of recycled paper and the inks used are vegan friendly. This book contains no naughty words and is 100% children friendly. Handmade by us at Dash Vegan! Set of three badges including Vegan is Love in a choice of colours (please state preference in notes on your order or we will send you a random colour choice from pink, black, green, aubuergine, light blue or navy). 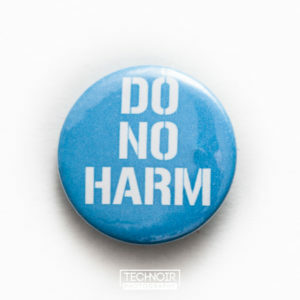 Do No Harm in a choice of colours (please state preference in notes on your order or we will send you a random colour choice from pink, black, green, aubuergine, light blue or navy). Plant Powered Pin Badge in black. Top quality pin badge with the high quality backs not the cheap ones! Also available individually. The watermelon fridge magnets are here! Created by Things I Care About Shop and we are proud stockists of a selection of their products including the fab colouring book here too - Peace Love Vegan They are beautiful, vivid, big (3 inches diameter!) 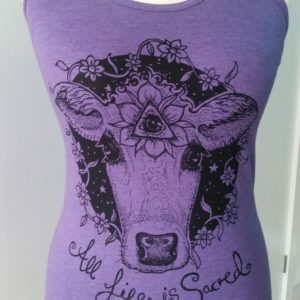 and a perfect gift for yourself or your vegan friend. 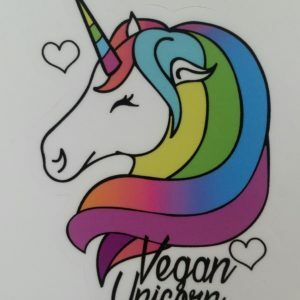 Vegan unicorn vinyl sticker. These are high quality made stickers which are durable and will last for a long time. They're the perfect way to customise your belongings such as laptops or mirrors! Let everyone know what a fabulous vegan unicorn you are! Each sticker is made of thick, durable, waterproof vinyl with a UV laminate that protects it from scratches, rain and sunlight. They are perfect for your laptops, phone covers, bikes, cars, windows, water bottles etc. Sky is the limit! Each sticker is around 5 cm x 7 cm. 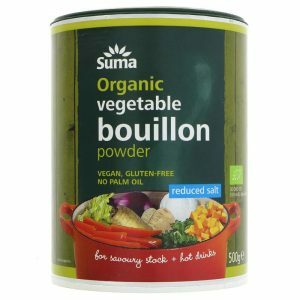 Organic, gluten free, vegan, reduced salt, palm oil free tasty stock powder in large recyclable tub. Handmade by us at Dash Vegan! 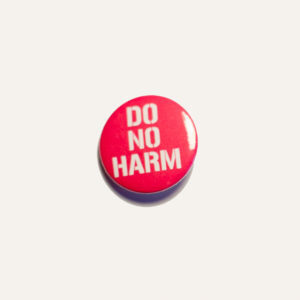 Do No Harm Pin Badge in a choice of colours (please state preference in notes on your order or we will send you a random colour choice from pink, black, green, aubergine, light blue or navy). 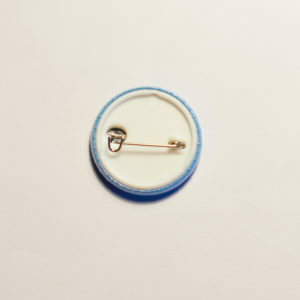 Top quality pin badge with the high quality backs not the cheap ones! 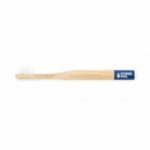 Buy individually or see our top value set of 3! 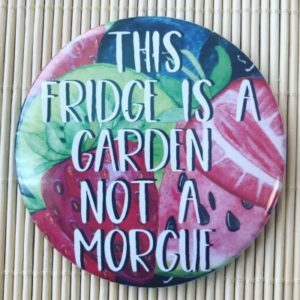 ‘This fridge is a garden not a morgue’ – vegan fridge magnet made by our lovely friends at Things I Care About Shop. 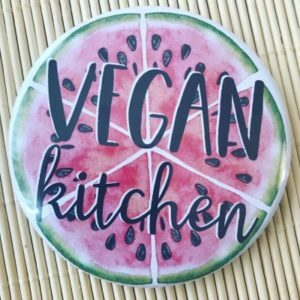 A really colourful and fruity fridge magnet to show people you are vegan and your fridge is a garden, not a morgue! 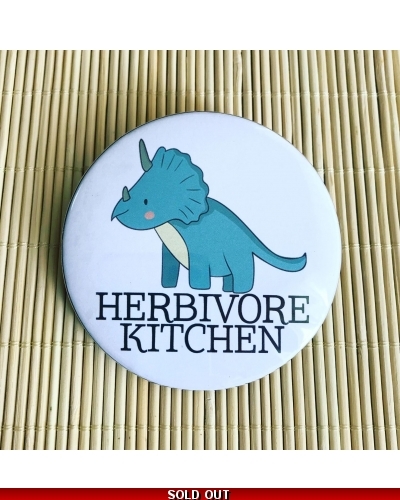 Our magnets are beautiful, glossy, big (3 inches diameter) and make a fantastic gift for yourself or a vegan friend. 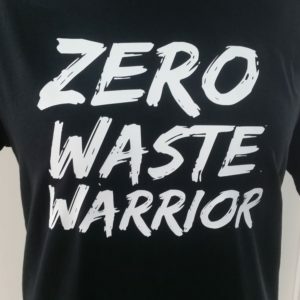 Zero Waste Warrior Tshirt Exclusive to Dash Vegan! Our brand new zero-waste warrior t-shirts have arrived! Show off that you care for the environment in this awesome tee! 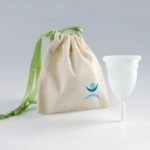 We work hard to stay as close to a zero-waste lifestyle as possible and we know you do too, so be loud and clear about it! Be proud. It's a great achievement. It is also perfect for a gift. These t-shirts are exclusive to us - our own design printed by our wonderful vegan printer (Lee at BlackStar Print Shop) Available in sizes Women Fit S (order XS for this option), regular S, M, L and XL. 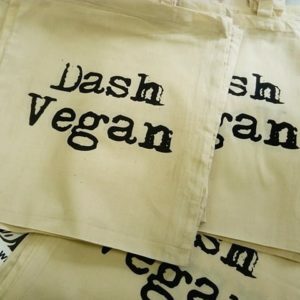 Own your very own Dash Vegan bags which are made right here in Nottingham! They are made from eco cotton bags which we managed to save from landfill and they are printed with vegan-friendly inks by our vegan printer who also makes our t-shirt range. These are an average tote bag size of approximately 38cm x 41cm with short handles.